Isn’t the community spirit in this area fantastic? This is what makes living here so special. 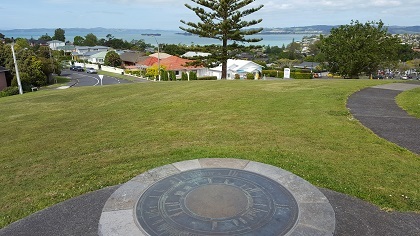 It is the great and generous people who live here, and the wonderful places surrounding us, like our inimitable views of the Hauraki Gulf from Stockade Hill and Crawford Reserve. We believe fervently that the preservation of these views is worth fighting for now and for future generations. It is in this spirit of community cooperation that we have received this week a very, very generous and welcome donation from the ratepayers and residents of Bucklands Beach Residents and Ratepayers Association to protect the views from Stockade Hill. We hope all our generous supporters have had a Merry Christmas and we look forward to the New Year. If everyone who has signed our petition gave a little to us we would easily cover our bills, so if you have not yet given to us, but believe our fight to save those precious views as we crest the hill into Howick are worth it, please give generously to our account number 12-3089-0123712-02 or through www.Givealittle.org – key word “Stockade Hill”. Without further donations we cannot save these views. The latest donation brings our total this week to $22,850 meaning we still need to raise a further $9000 to pay our legal costs to this stage. This is a little more than first estimated for this early stage before we are able to advance the Environment Court due to the number of requests from Judge [Christian] Whata for further information so as to be scrupulously fair and accurate in his judgment. The decision as to whether the Independent Hearings Panel made a fair call on rezoning 69 homes opposite Stockade Hill to intensive mixed apartments, potentially blocking our magnificent views, was justified, will be made public in early February. Don’t forget our Summer Photo Competition. Send your entries “The View from Stockade Hill” to Howick RRA, PO BOX 38-370, Howick. Photos must be prints with your name and phone number and address on the back, and age if under 14 years. Entries close February 10.